Karela tablets are formulated using karela juice extract of the highest quality and are a useful supplement for the maintenance of general health and vitality. Diabetics would be well advised to include Karela tablets as part of their daily supplement intake. 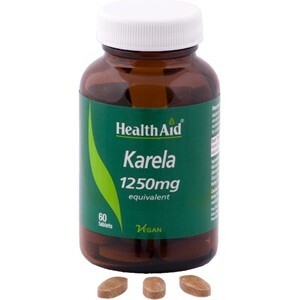 Thank you for your interest in HealthAid Karela Extract 1250mg Tablets . Enter your email and we'll contact you as soon as it's available again.